Whether you’re the star player of your rec league soccer, hockey, football, rugby, volleyball, dodgeball, or ultimate Frisbee team, improving your speed and agility quickness will keep you on your toes. Speed, Agility and Quickness (SAQ) training works in all planes of motion, and fires every muscle group in your body. It improves your balance, makes your feet quicker, and speeds up your reaction time. Your mind and body begin to work stronger together, which matters on the field, in your office, and at home. No matter what sport(s) you play, SAQ drills will help you play better. 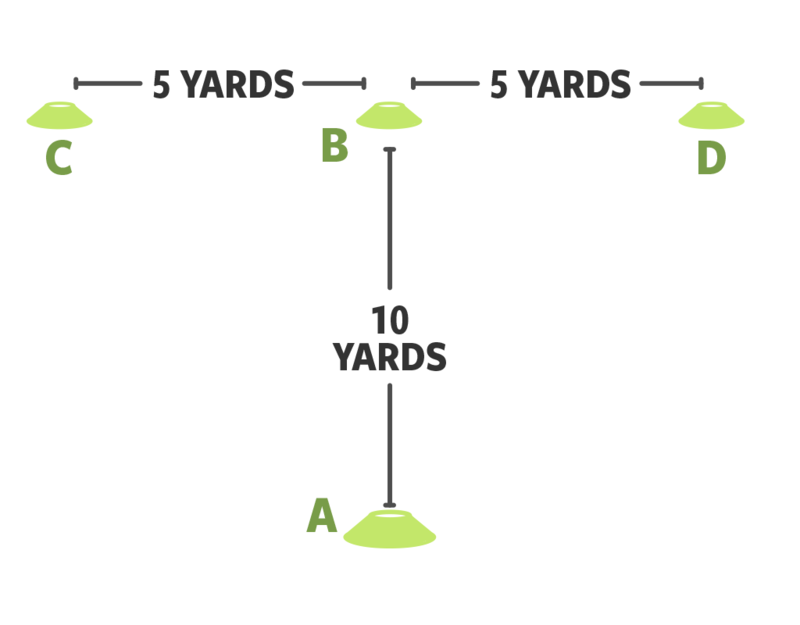 One of the best ways to measure your agility is to perform a T-Drill test, since it tests your ability to accelerate quickly and rapidly change directions. To perform this as a drill, repeat 5 to 10 times, making note of your best time. If you’re setting it up as a test, perform a T-Drill once to a stopwatch. For men, excellent agility is scored by finishing in less than 9.5 seconds; for women, it’s finishing in less than 10.5 seconds. If it takes you longer than 12 seconds to finish, that’s a sign you have to keep working on your agility. 1. 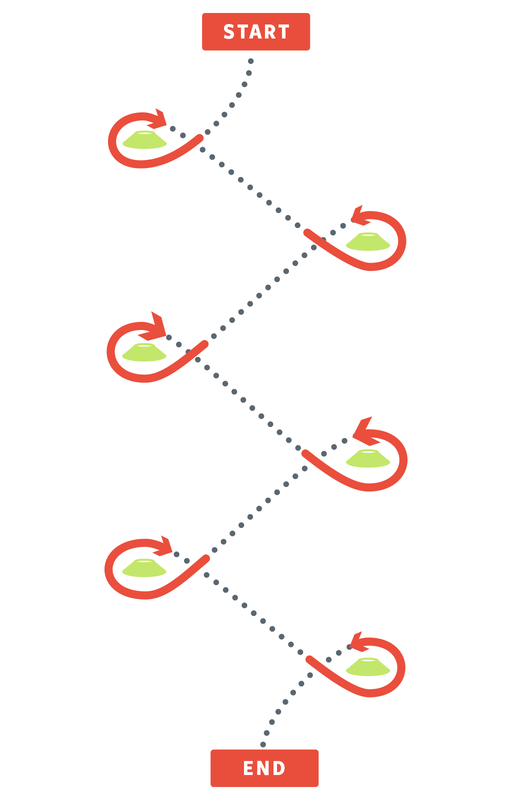 Set up 4 cones in a T pattern. 2. 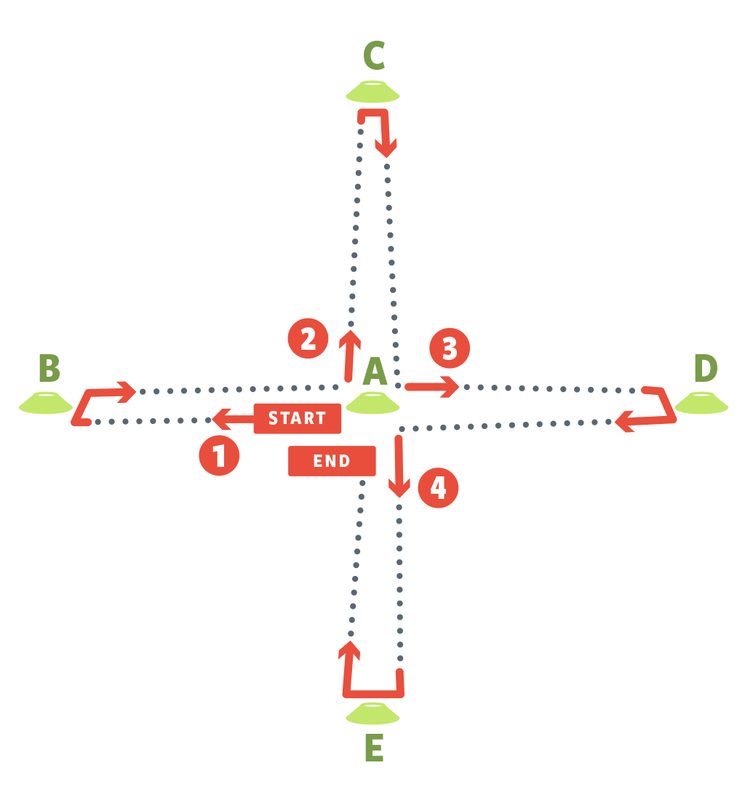 Starting at cone A, start a timer and sprint to cone B, touching the cone with your right hand. 3. 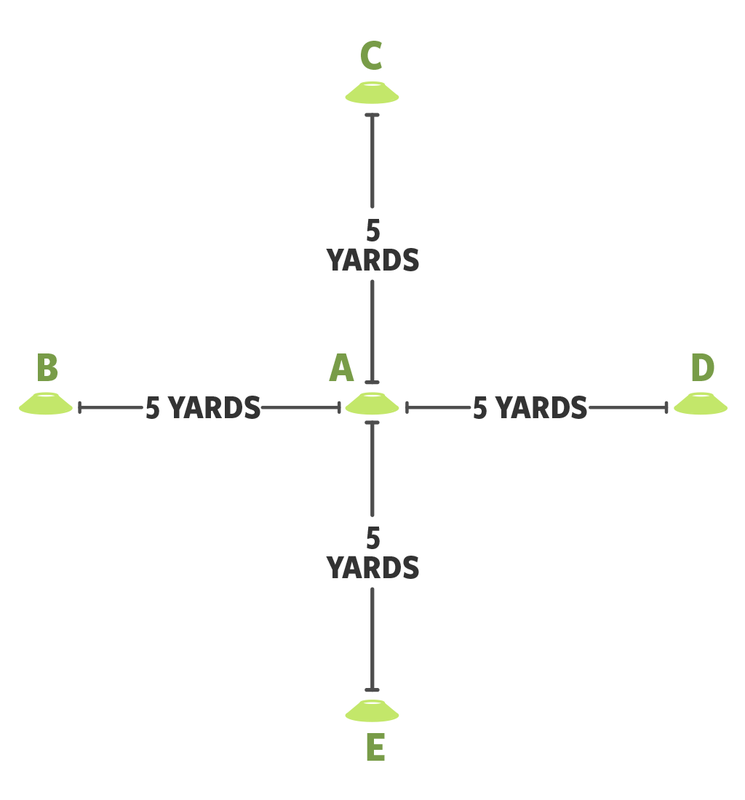 Without changing the position of your body, shuffle sideways to cone C, and touch cone C.
4. Shuffle sideways all the way to cone D, and touch cone D.
5. Shuffle sideways back to cone B. 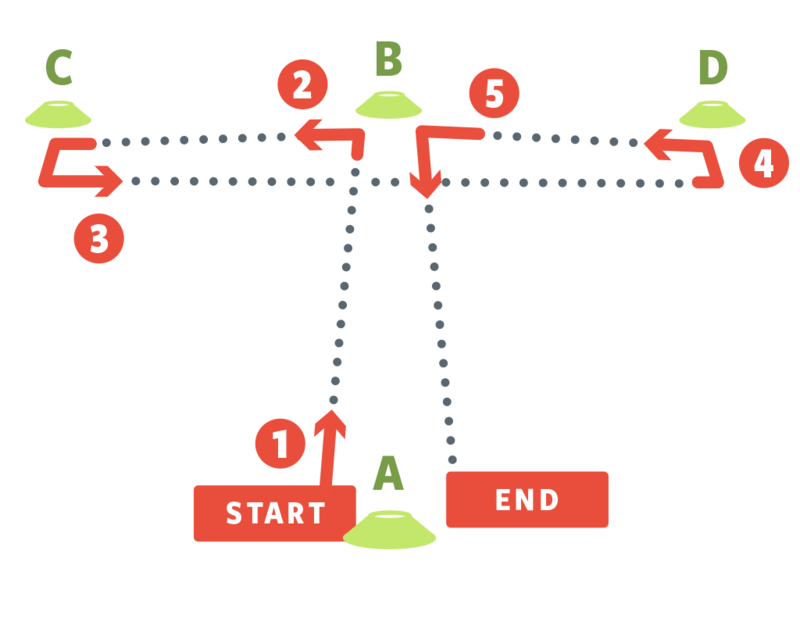 Touch cone B and then shuffle backwards to cone A, stopping the stopwatch. 1. Starting at cone A side-shuffle to cone B, then side-shuffle back to cone A. 2. Then sprint from cone A to cone C, then backpedal from cone C to cone A. 3. 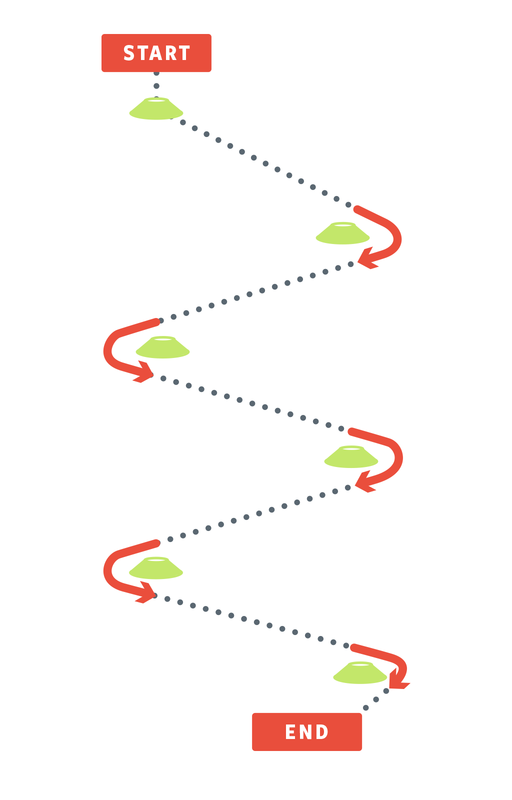 Side-shuffle from cone A to cone D and back. 4. Backpedal from cone A to cone E, then sprint back to cone A to finish. 5. Repeat 3 to 5 times, trying to get faster each time. Do 3 of each type of zig zag drill. How do you improve your speed, agility or quickness? Fuel your next workout with these Vega energy supplements.